If I could have seen into the future about 36 hours after typing that sentence, I would have continued with, “…and bases loaded, down by one, with two outs in the 7th inning, isn’t one of them.” If the Dodgers don’t make it out of the 2015 NLDS, Friday night’s removal of Clayton Kershaw may go down as one of the most infamous managerial blunders in LA Dodger history, one which will deprive Don Mattingly the chance to make any more. (Or at the very least, not beyond next week.) He also invalidated my entire last DodgersFYI post, although that is the least of my worries here, let alone his. But none of that is really going to be remembered much, because many ongoing Dodger narratives converged in the top of the 7th inning. Trailing 1-0, Clayton Kershaw loaded the bases on 3 walks, but also managed to get two outs in between. He was clearly laboring and did throw 113 pitches. But he had also struck out 11 and only allowed 4 hits. And, most important of all, HE IS CLAYTON KERSHAW. With all that going on, Don Mattingly did not even give Kershaw the courtesy of pleading his case to stay on the mound. Signaling for the bullpen before looking Kershaw in the eye, the 50,000+ at Dodger Stadium let out a shocked, angry roar. Pedro Baez came in, and the outcome was all too predictable. Quite honestly, as David Wright delivered the dagger with a line drive, 2 run single to centerfield, the whole thing felt like a rerun. A really, really old rerun. Before continuing on with just how disastrous Don Mattingly’s decision actually was, it’s worth noting that those who feel vindicated for lambasting him for LAST year’s NLDS have it completely backwards. The idea that removing Kershaw was “obvious” during last year’s game 1, after allowing 5 mostly groundball singles, as though 3 walks is somehow less of an offense, is revisionist history, to say the least. It’s even more absurd when you consider that Kershaw was working with a 2 run lead prior to facing Matt Carpenter, and had struck out the previous batter on THREE PITCHES. If you want to know how you would have felt had Kershaw been removed at THAT point, just see how you feel tonight, and multiply it by 2. Also, keep in mind that many claimed it was even MORE obvious that Kershaw should have been taken out in the 7th inning of game 4, after giving up two singles. Two fairly weak singles are greater evidence of a pitcher getting tired, than three walks in one inning? Anyone with that philosophy would make quite an unconventional pitching coach. But inconsistent rants from angry fans with hindsight and soothsaying analysts do not BEGIN to justify what Don Mattingly did to Clayton Kershaw on Friday night. Given Kershaw’s pedigree and the way he had pitched throughout most of the game, he more than earned the opportunity to try getting out of the jam that he created on the bases. At the very least, Mattingly owed him the courtesy of a full discussion at the mound. Mattingly’s supposed strength is his calm demeanor, and his ability to drown out the noise. By removing Kershaw without allowing him the chance to plead his case for one more batter, Mattingly panicked at best, disrespected Kershaw at worst. The message seemed to be that he didn’t trust Kershaw, made all the more insulting by the fact that Kershaw was about to be relieved by THAT bullpen. 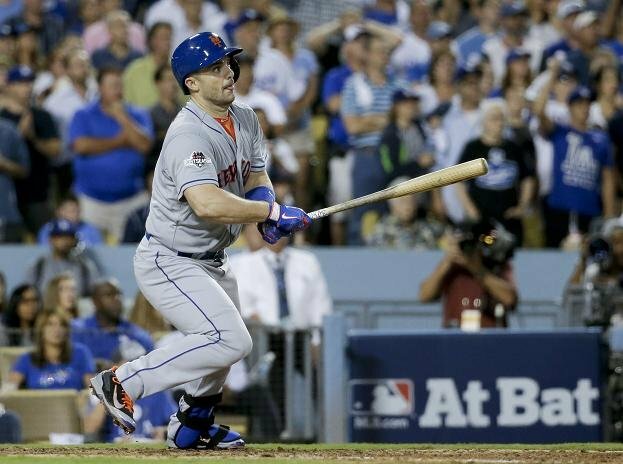 Would many fans have ranted and raved, had it been Kershaw who allowed the hit to David Wright? Absolutely. And the only appropriate response to that is…SO WHAT? Mattingly never seemed to care much what fans and media thought before, so why pick now to fear the very thing that he was about to cause, anyway? Was it really that Mattingly just didn’t trust Kershaw? Because if THAT’S the case, he really should not continue being the Dodger manager, regardless of how much longer the 2015 Dodgers play into October. Losing Matt Kemp’s respect was one thing, but if Mattingly cannot maintain a good relationship with Clayton Kershaw from this point forward, he’s probably not going to have one with the rest of the team, either, let alone the fans. Update: After reading some of Clayton Kershaw’s postgame comments, this entire post may be way too harsh. Ironically, he seems to endorse the sentiment of the PREVIOUS DodgersFYI post, taking responsibility off of Mattingly’s shoulders, and putting it on his own, by implying he had nothing left in the tank. If that’s the case, then Mattingly was in an even MORE unenviable position than previously thought, being the guy who had to take the great Clayton Kershaw out of a game that all Dodger fans wanted to see him continue pitching in. It is also possible Kershaw was merely covering for Mattingly, but past history does not seem to indicate this is likely. And Kiké Hernandez should still be starting in centerfield. This entry was posted in Dodgers. Bookmark the permalink.